A lovely garden pond can be the perfect backyard accoutrement. Perhaps you had dreams of a Secret Garden like scene when you were a young child. Or maybe, you want to pay homage to the great outdoors and set it up like a mini lake, even adding a few special fish or even some cool rocks to compliment the look. No matter how you want to live the pond life, we will show you six great essentials that are practical and fun as you customize your personal backyard habitat. Having beautiful plants in your little body of water will definitely bring the smiles, oohs and ahhs. You can choose from a big variety of pretty ones that will add to the ecosystem while simultaneously making it look fabulous. Our favorites are Pitcher Plants, which are bog plants and grow really well in a water feature. Install them as you would any other plant-they can grow in the ground that surrounds the pond so long as you keep the soil moist. Water lilies make a great second choice. Even small inch ponds can sustain them. You can grow them in a pot and submerge the pot-just use a soil mix of sand and clay, so you don’t make your pond muddy. A fountain can lend a sense of Zen to your space, and it is also good for the pond, too. You can enjoy improved quality of water when you install a fountain. If there are no oxygen bottom sediments can release harmful gases that cause poor water quality. A fountain can provide proper aeration, which will not only keep the water clean but keep foul odors at bay. 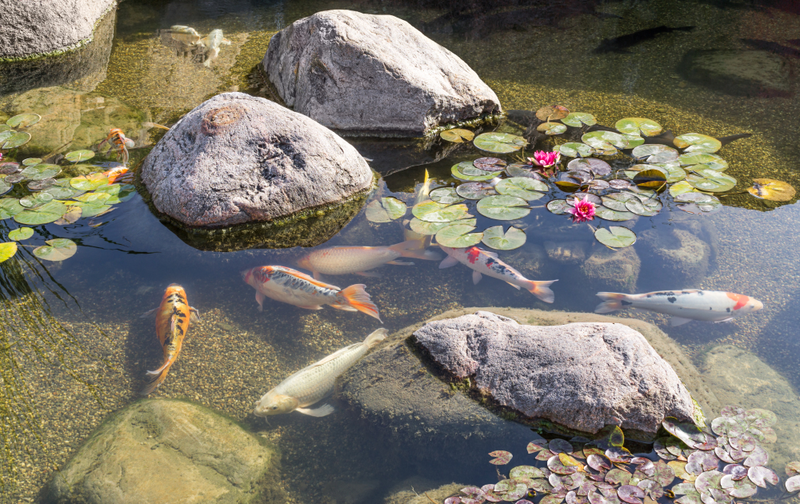 If you choose to keep fish in your pond, the aeration provided by the fountain keeps the fish healthy and colorful. Perhaps the most fun of all the stuff we’re listing, fish make a wonderful accoutrement to the pond as they are so peaceful and fun to watch, and a joy to feed each day. The type of fish you can keep is dependent upon your pond, but nearly everybody can keep a goldfish pond. Ask your local pet store about their varieties of goldfish in stock and choose a few good ones for your pond. Be sure to stock up on food, and make sure the pond is aerated properly. And if you live in a cold climate; make arrangements to bring your fish indoors during winter months. 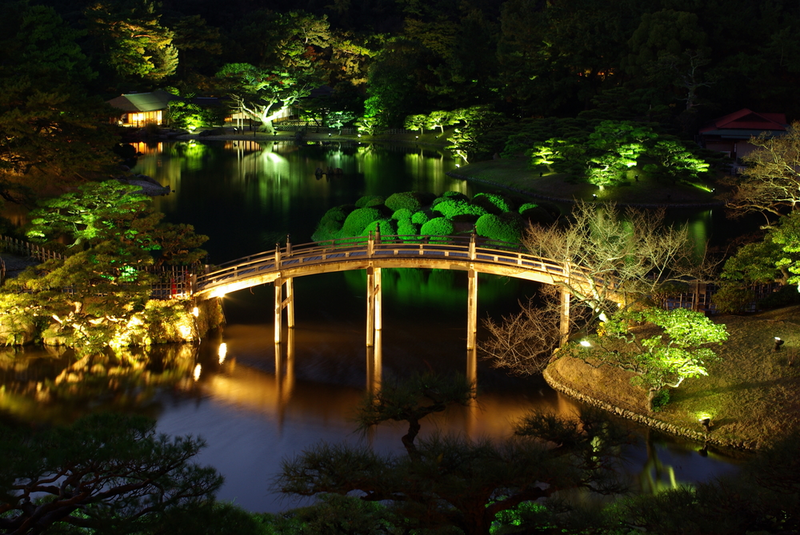 Imagine the possibilities when you light up your lovely pond with a colored or clear underwater light. You can enjoy sitting outside at night, illuminated by the soft glow of an underwater light. You can illuminate your fish and enjoy their movements, relaxing after a stressful day. They will keep guests aware of where your pond is so that nobody accidentally walks into it. While they do make a nice decoration, they are ultimately a very practical accessory. Sourcing this is easy as well, you can check online resources like this or you can check your nearest hardware store. A good pond skimmer is going to keep your investment looking clean and keep the plants and fish healthy. Over time, water collects debris by way of falling leaves, dust blowing in from the wind, and fish waste. A pond skimmer is installed right on your pond’s surface and captures any floating debris. You then empty the skimmer on a regular basis to ensure it keeps doing its job. 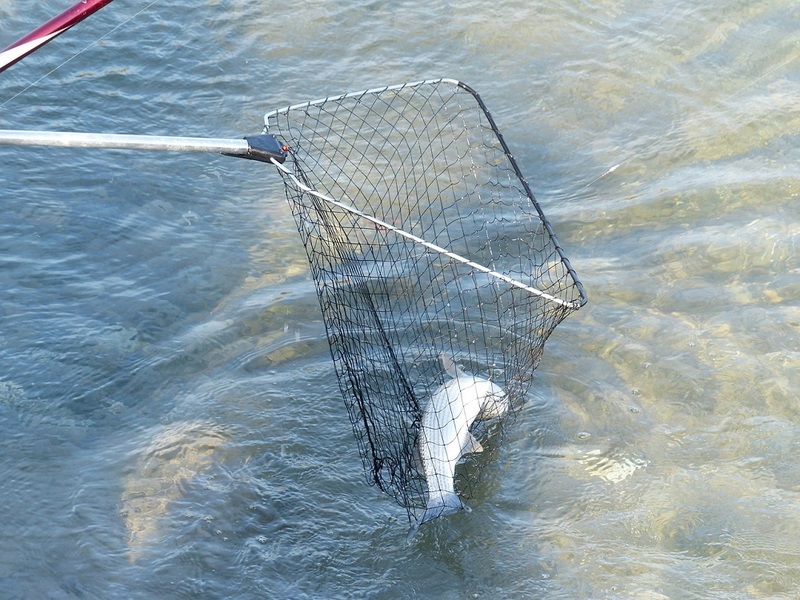 If you have fish, consider a skimmer that has a floating door on the intake part so that fish do not get caught. Pebbles are just so lovely. Who else remembers picking up the pretty ones as a child? They serve ponds really well in that they provide a nice anchor for the bottom of your pond liner. The liner keeps your pond nice and clean, and it cannot do its job unless it is properly weighted. 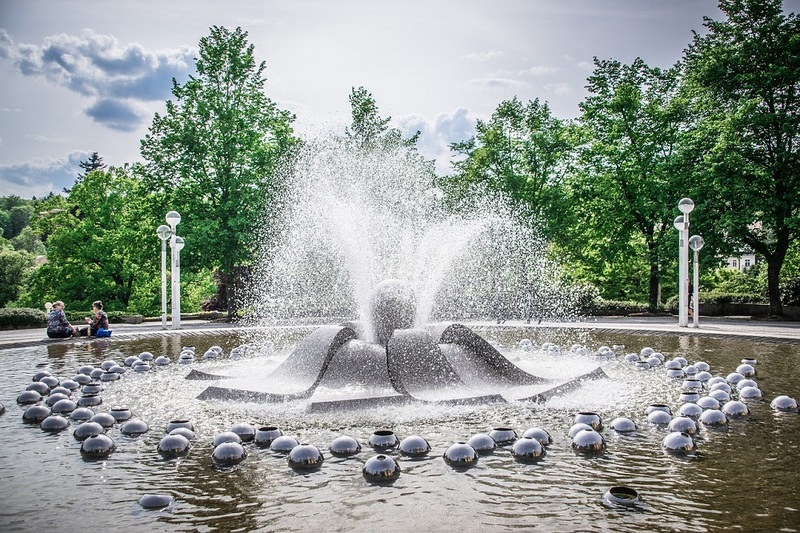 Aside from its ability to keep the liner weighted, pebbles keep the pond water clean, too. Good bacteria can grow there, and they also trap sediment, so it doesn’t float around in the pond. Plus, fish can rest and hide there-they love to sleep on pebbles. And best of all, you can buy pebbles anywhere in a variety of colors. Indeed, owning and operating your own backyard pond is something to be proud of and take joy in. Not many people are willing to put forth the time and effort it takes to create and maintain a lovely backyard habitat. And each and every pond is as unique and different as the person who put it together. Keep yours clean, bright and safe with our ideas, and watch out-you are going to have many more guests than you bargained for in your backyard, because they won’t want to leave your beautiful setup!